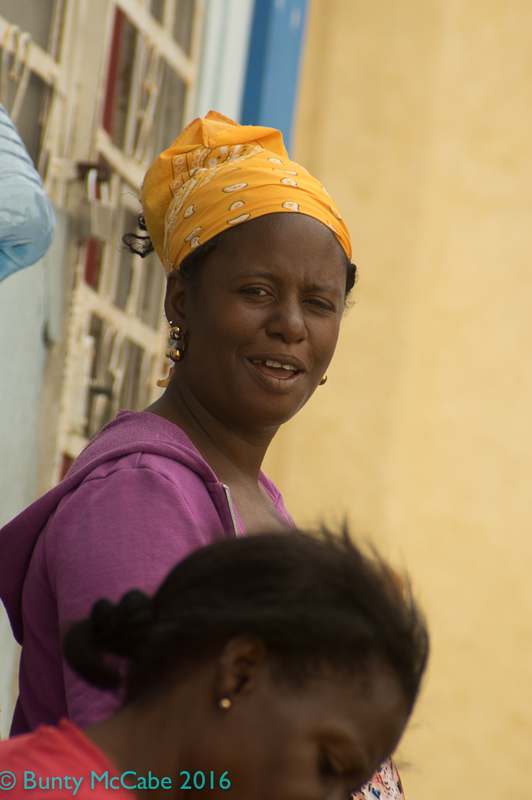 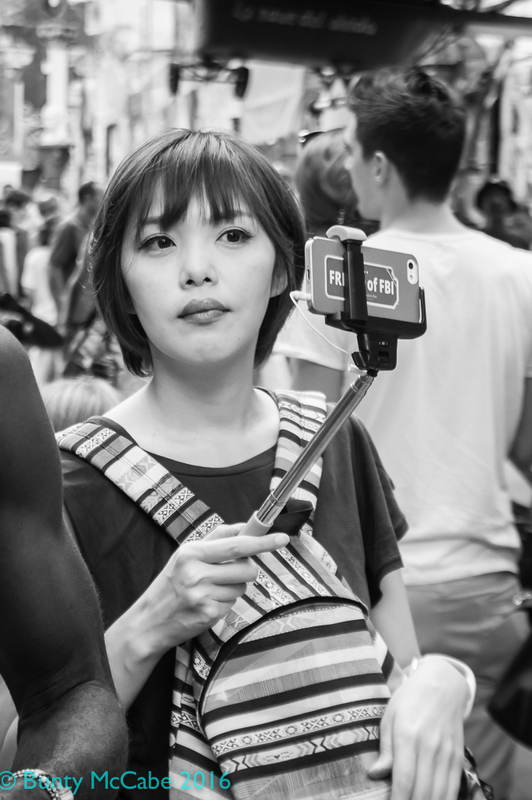 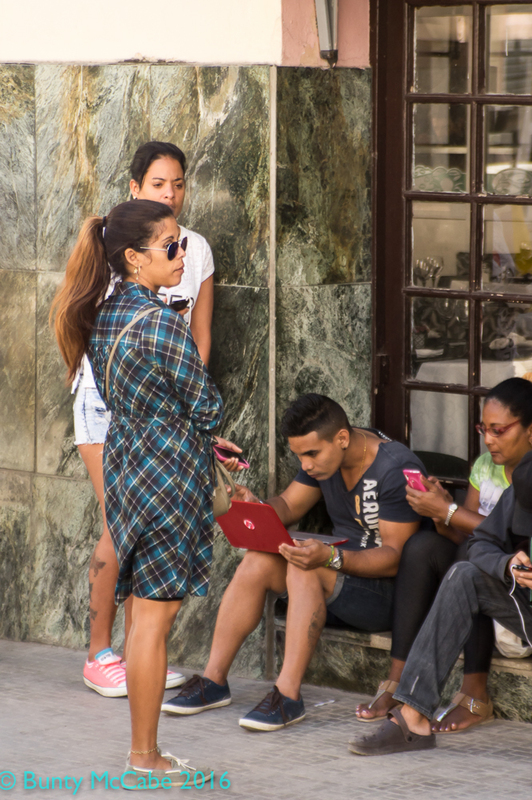 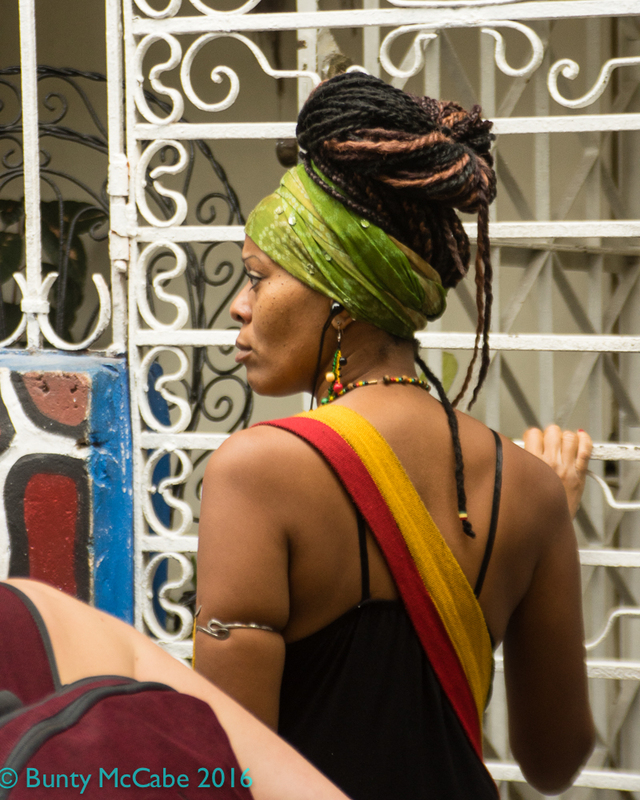 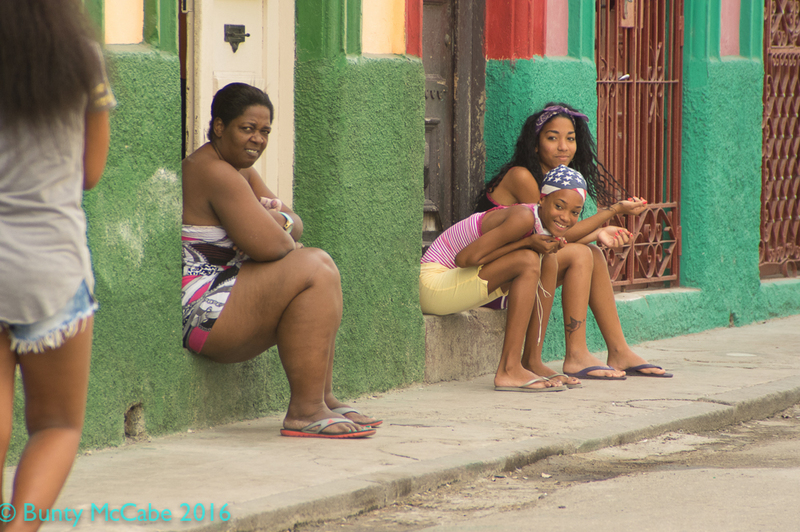 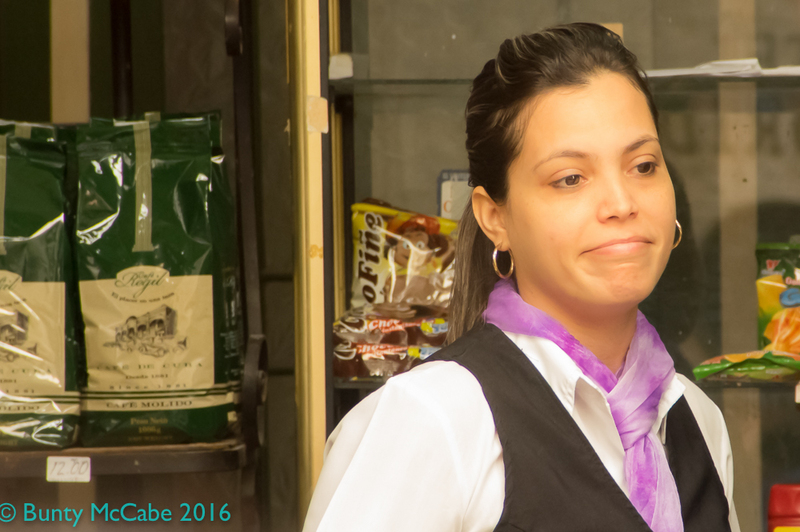 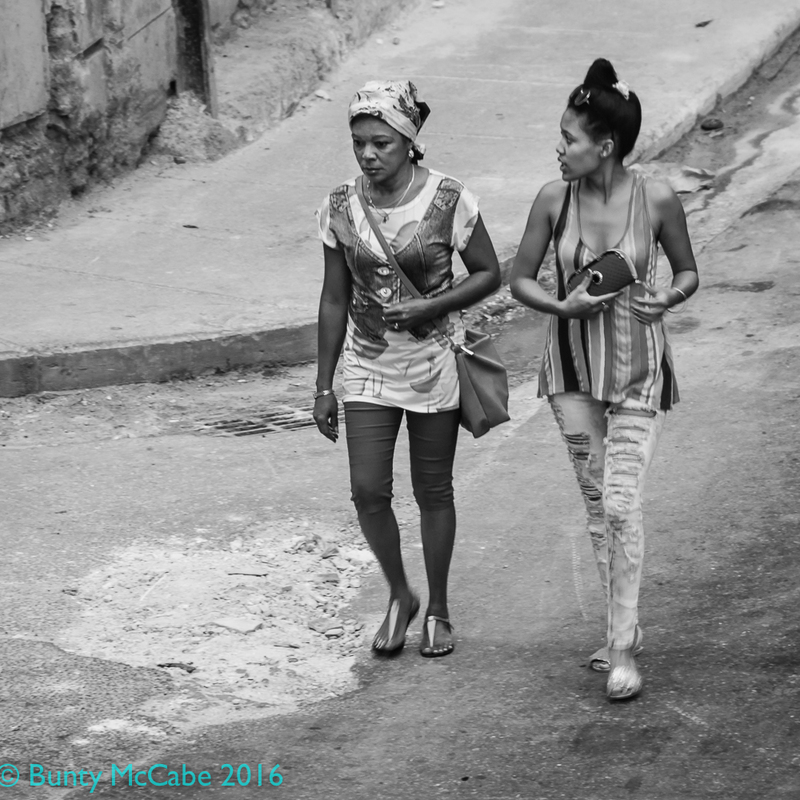 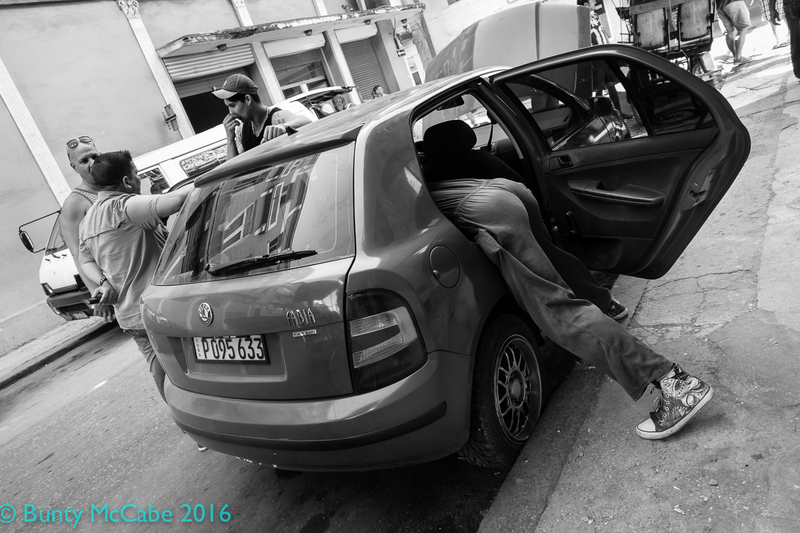 Street photography « "I do wander everywhere"
Cuba Day 2 – Who are these white women with their big cameras? 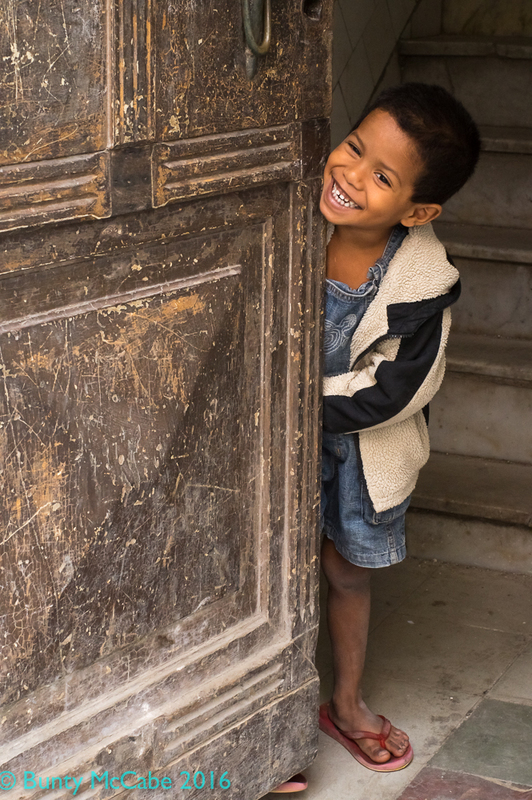 It was my colleague who charmed him into the big smile. 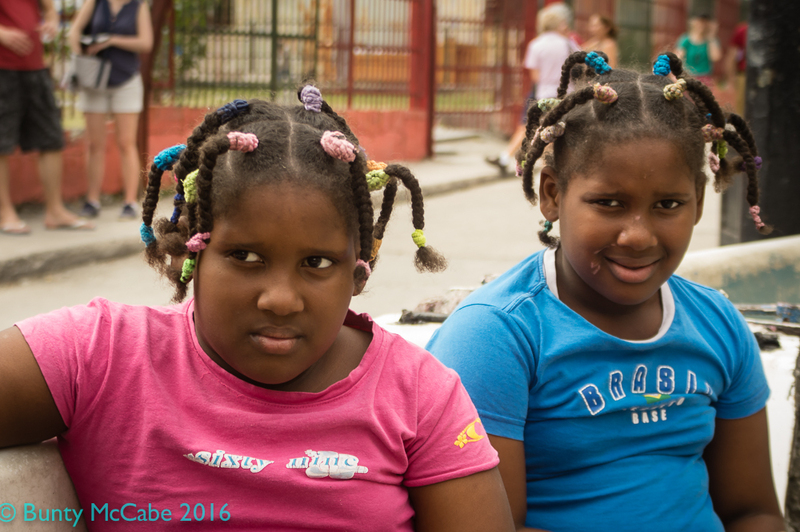 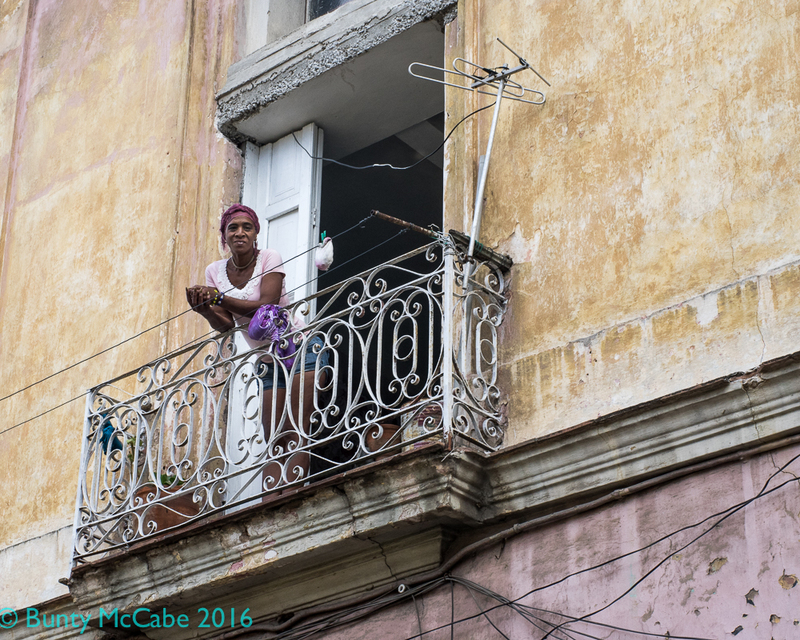 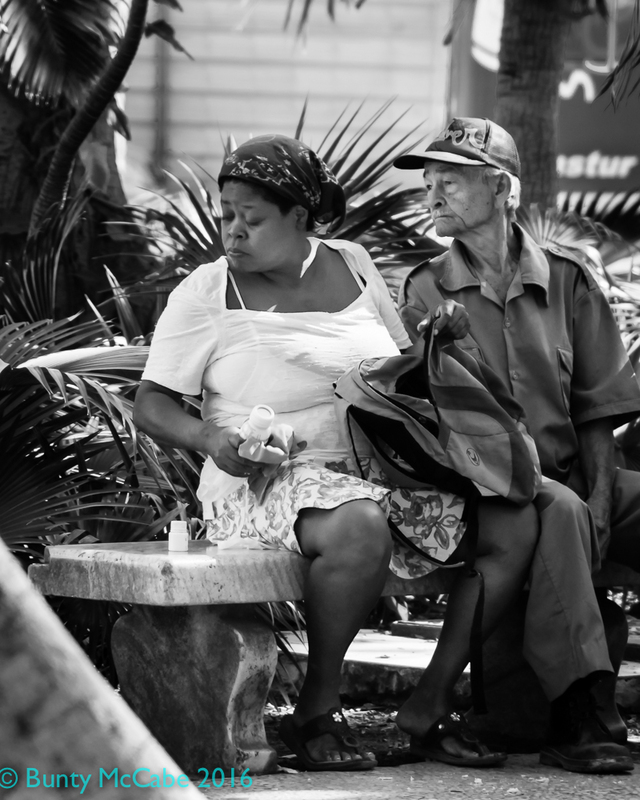 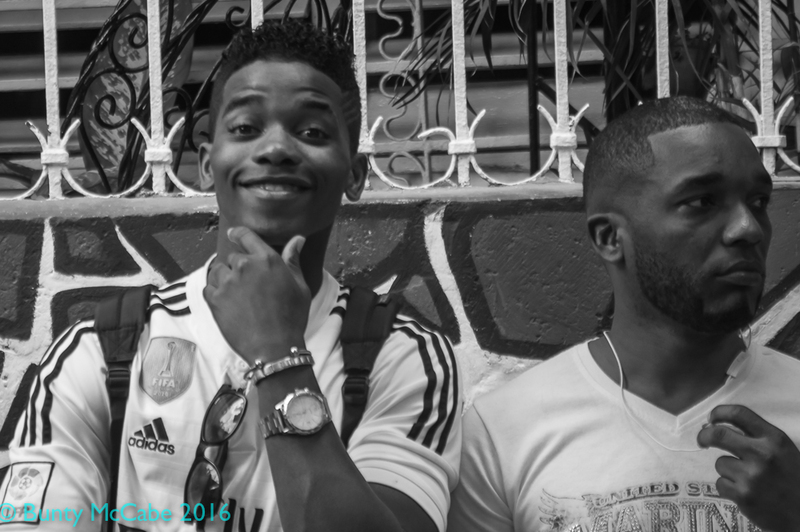 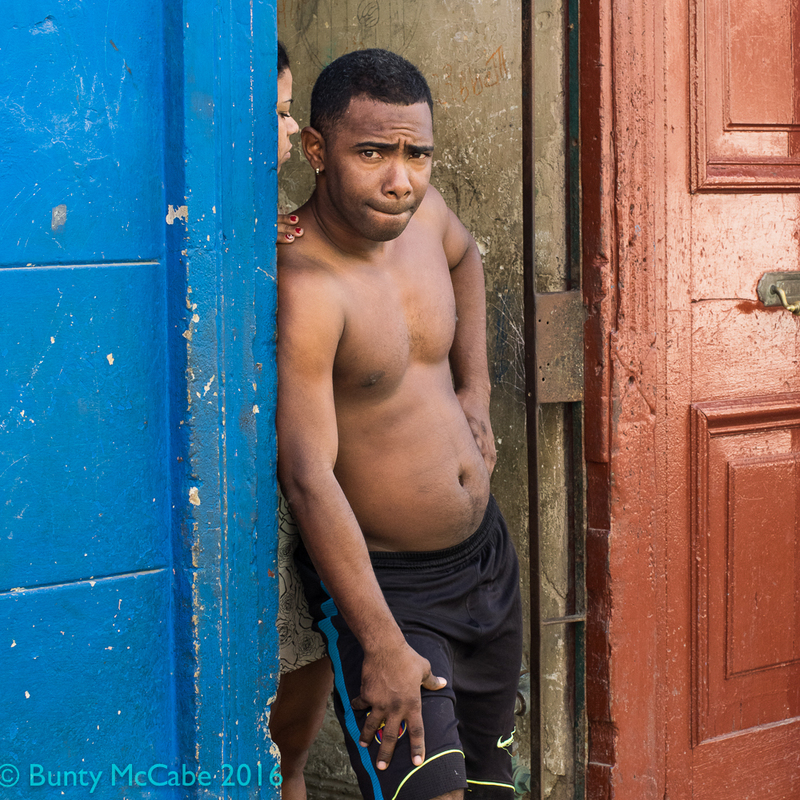 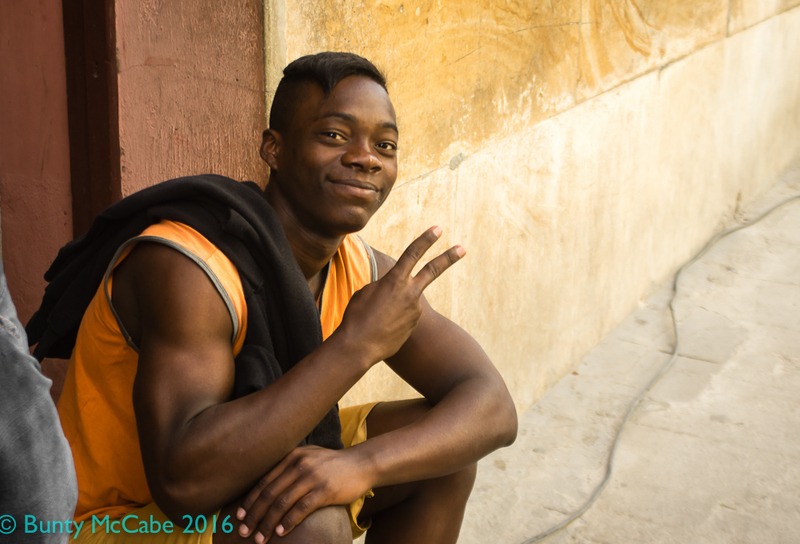 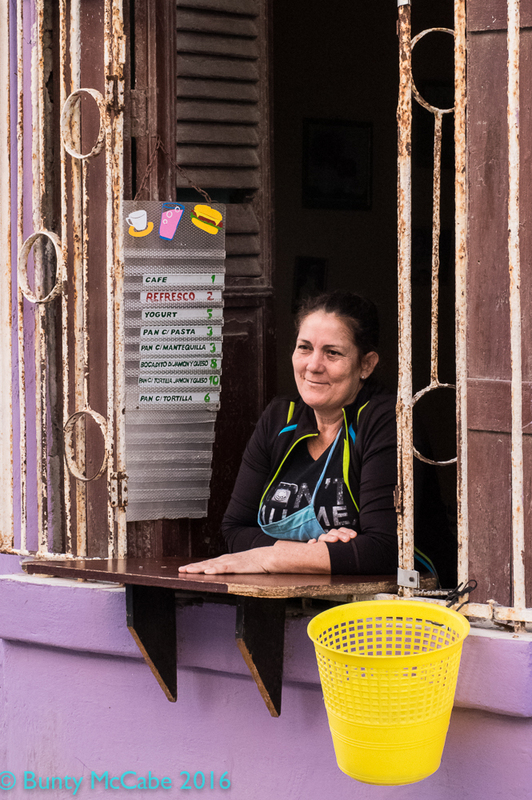 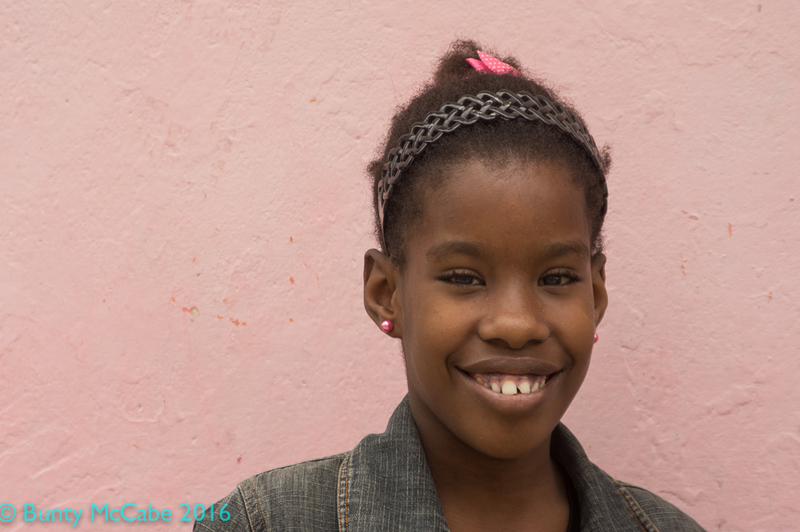 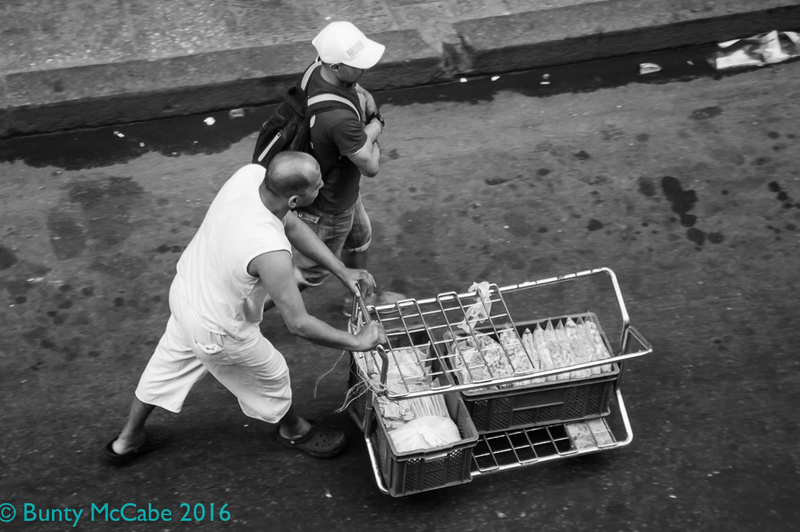 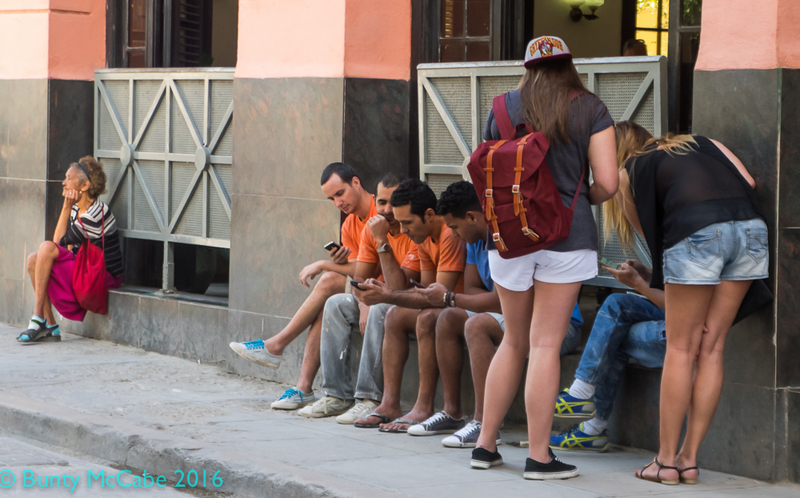 Cuba Day 2 – Shy but charming. 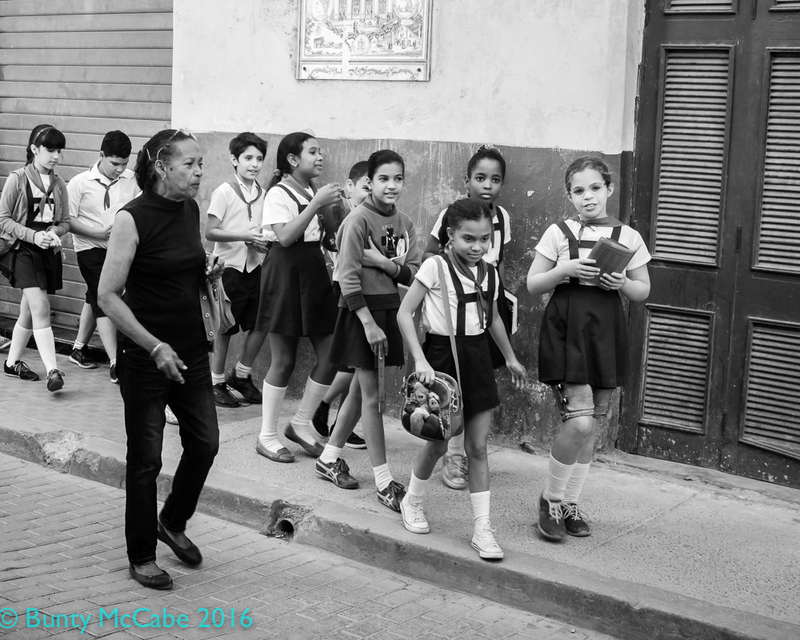 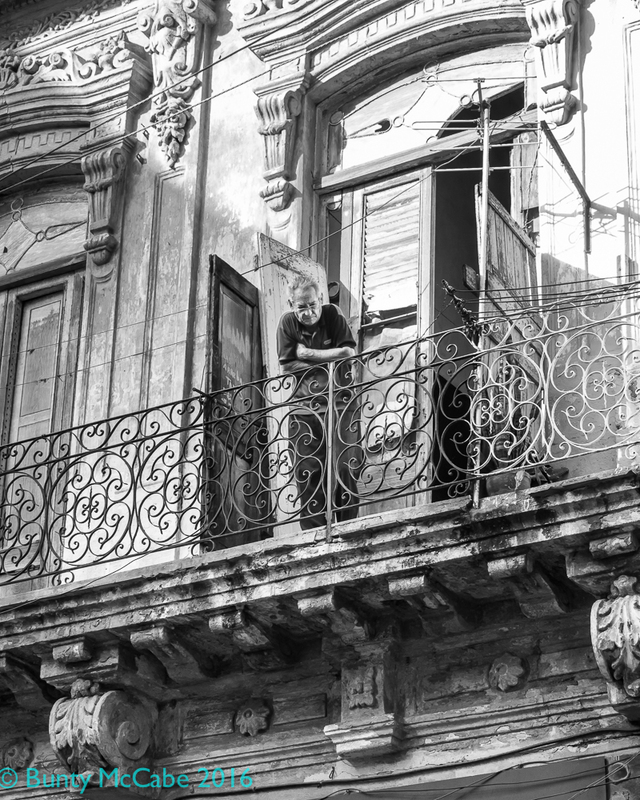 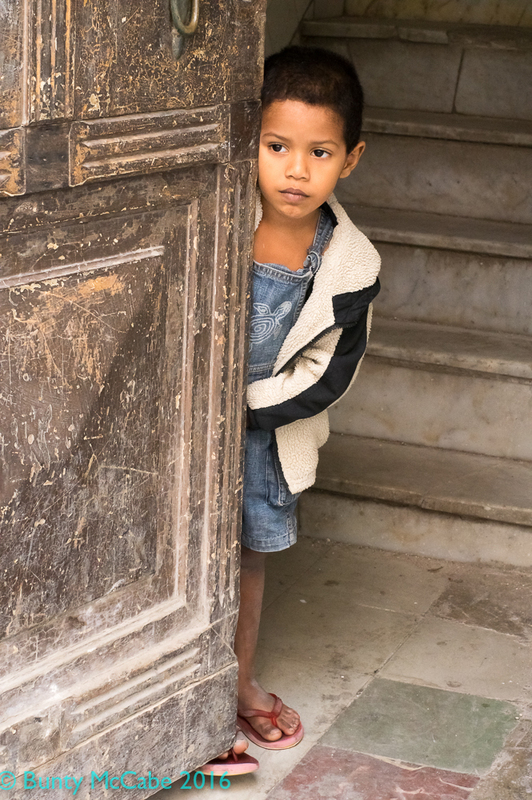 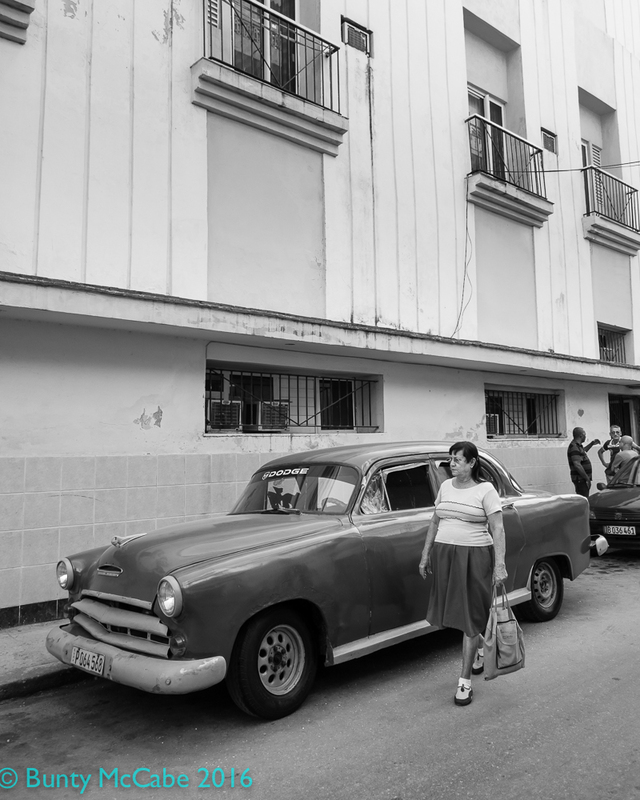 I didn’t look for shots of children – and they were largely in school when we prowled around Central Havana. 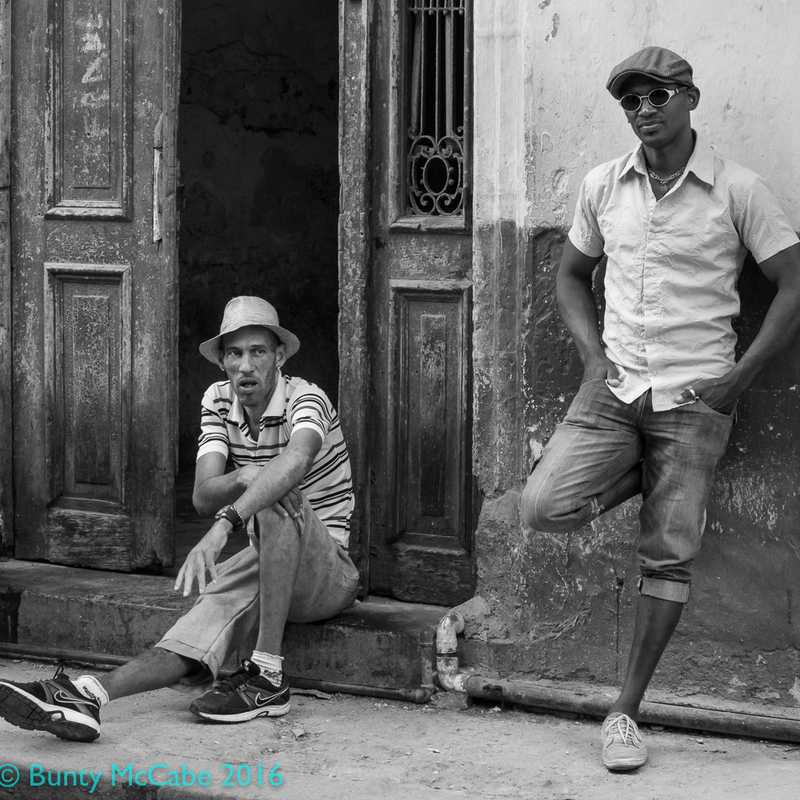 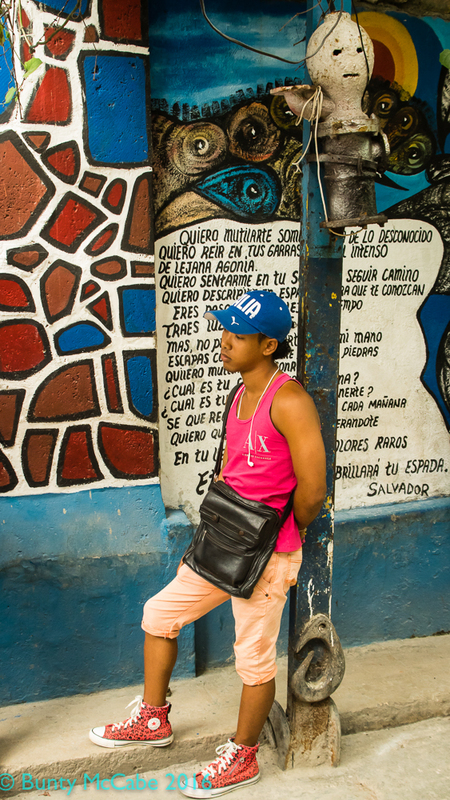 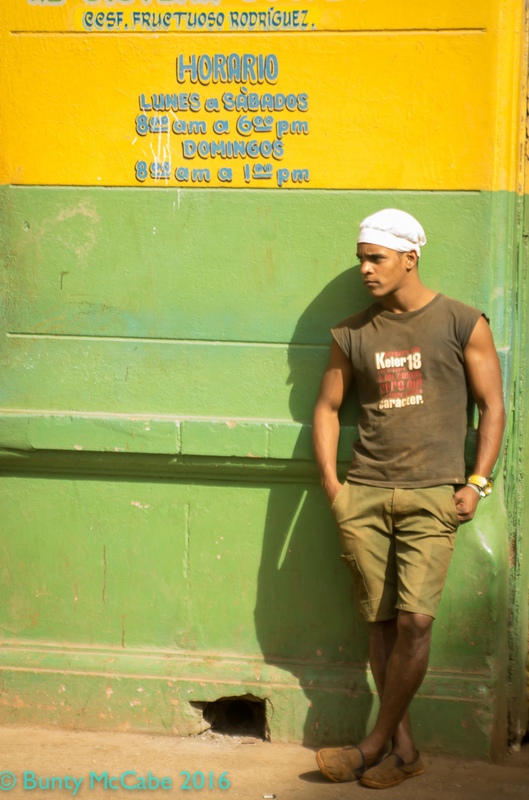 These next two shots were taken on the Sunday when we went to hear Afro-Cuban music on Callejon de Hamel. 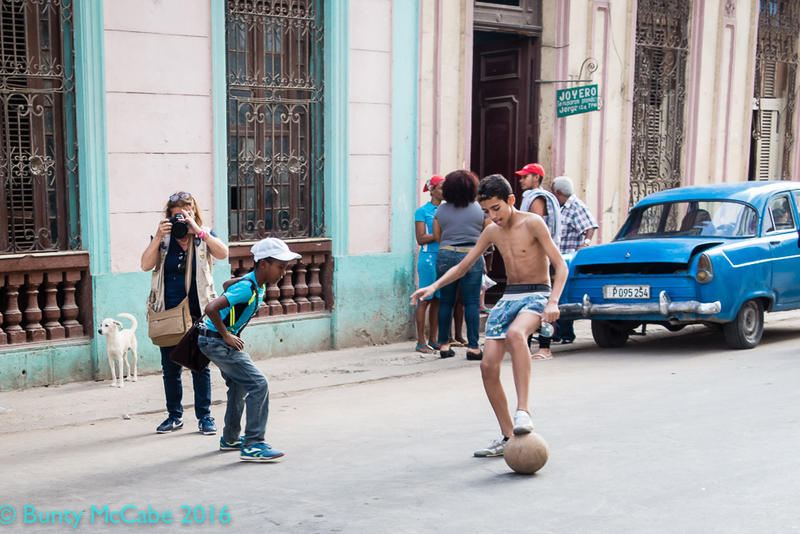 It was fairly late in the afternoon when we walked down this street; children were home from school and playing soccer. 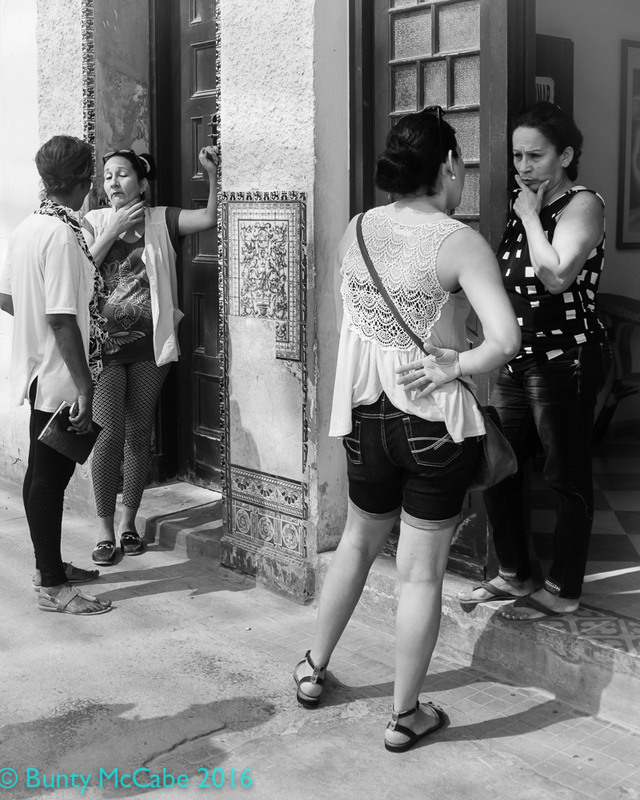 Duelling Cameras: another photo workshop group! 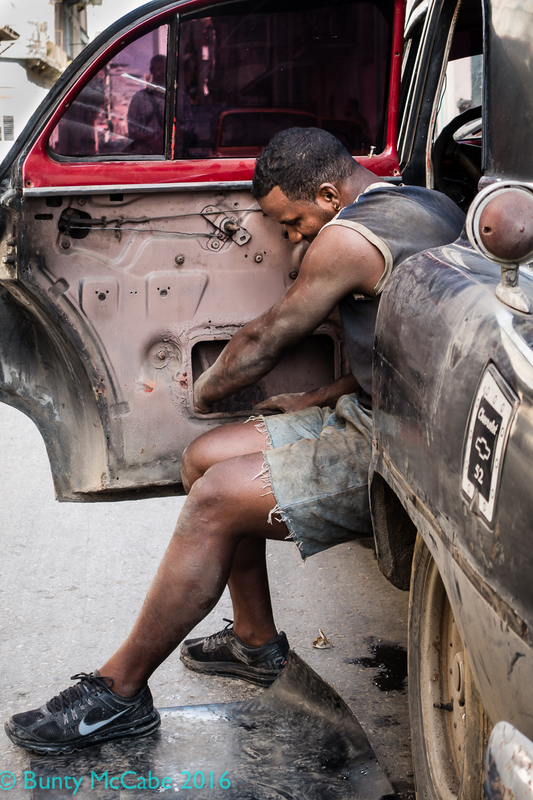 On many streets in Havana cars are parked, which, on closer inspection, you can tell are under repair, and are probably not mobile. 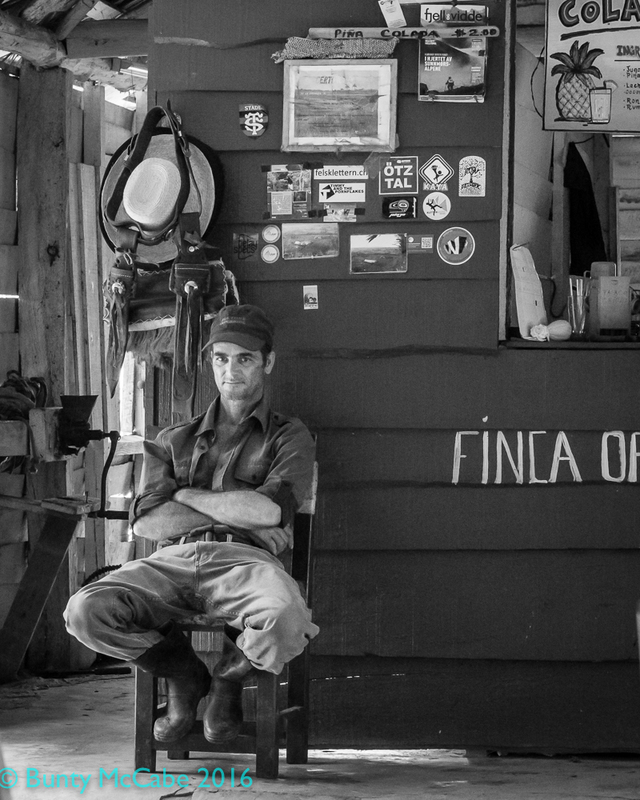 My orange Plymouth favourite was one. 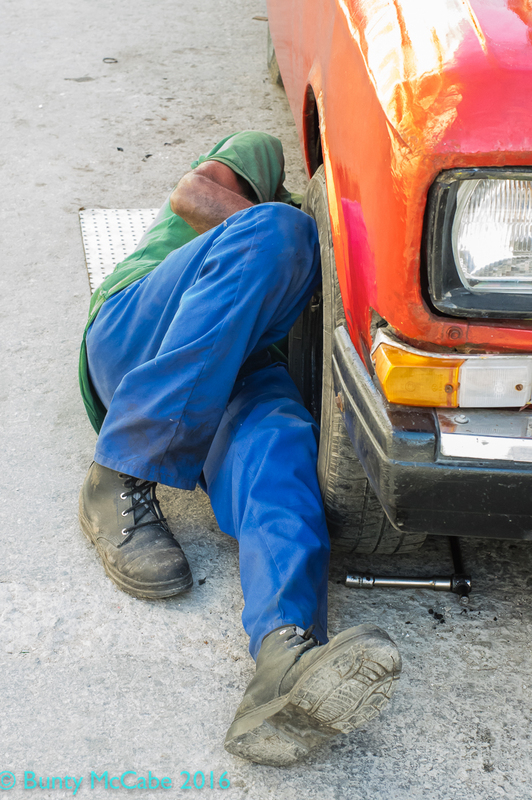 Several times we came across cars that were being worked on. 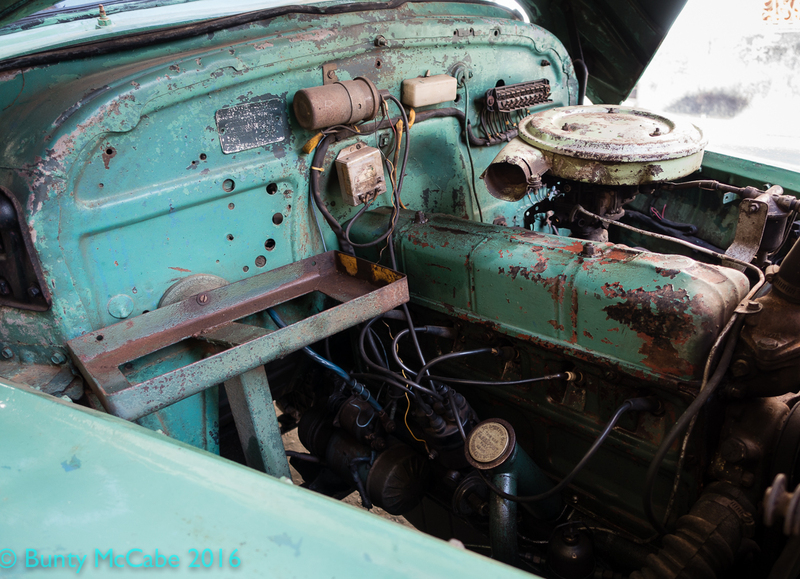 Cuba Day 6 Central Havana – A car in what I came to think of as Havana aqua.